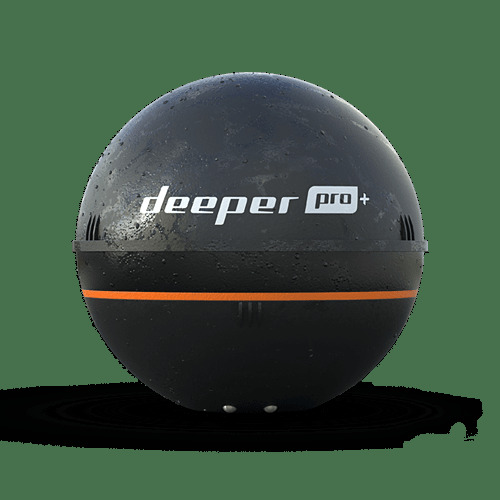 The Deeper Smart Sonar PRO+ is equipped with the GPS and WiFi connectivity. The PRO+ is simply the most advanced castable sonar. It’s the only device that let's create bathymetric depth maps from the shore. This device is compatible with iOS or Android smartphones and tablet devices. The PRO+ uses a WiFi connection to transfer more accurate and detailed sonar data to the smartphones or tablets. This WiFi connection gives the PRO+ an extended casting range of up to 100 meters. The PRO+ offers high-precision scanning at depths ranging from 2ft/0.5m down to 260ft/80m. The PRO+ can handle any freshwater fish without any problem - it can be a channel or pond, a large lake or even while wading in a stream. The PRO+ is kitted with high-grade components to offer higher scanning resolution and an extended dynamic range. This enables you to see and analyze much smaller underwater units and to accurately identify specific underwater objects.